Day 18 - Motorcycles and more headwinds. After roaring out of the north for the past week, the wind did a switcheroo just as I did and cotinued to blow in my face as I rode south. Lots and lots of motorcycles on the road today. Really glad my hearing aids can block a good portion of the noise. I retraced my route from Friday down to Flagler Beach and then had the plesant surprise to see the route took a quiet back road from there to Ormond Beach. It then left the beach and followed US-1, taking a lot of side roads, through Daytona and on south. 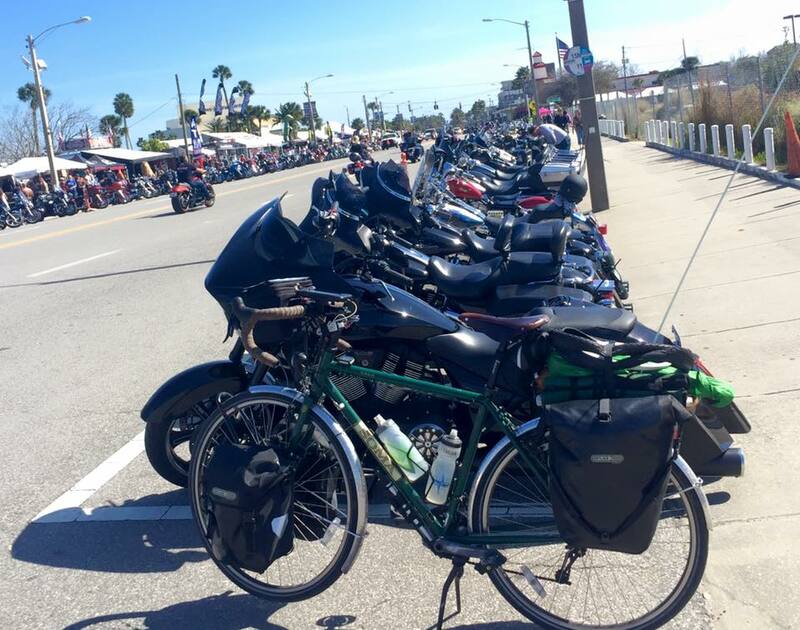 The route happend to go right through the heart of the bike week festivities in Daytona. I cranked out some long miles today in order to make it to my Warm Showers hosts, Debbie and Harry Samuels. It certainly was worth it. They have a gorgeous house right on the water and treated me royally. I have come to the conclusion that the best way to tour Florida is to forget the tent and camping gear and schedule as many Warm Showers hosts as possible, with the occasional motel. While it would be great to camp more, Florida is just not setup for it. There were "Bikers Welcome" signs everywhere so I felt right at home. I showed up for Bike Week in Daytona, but I was the only one on an actual bicycle. 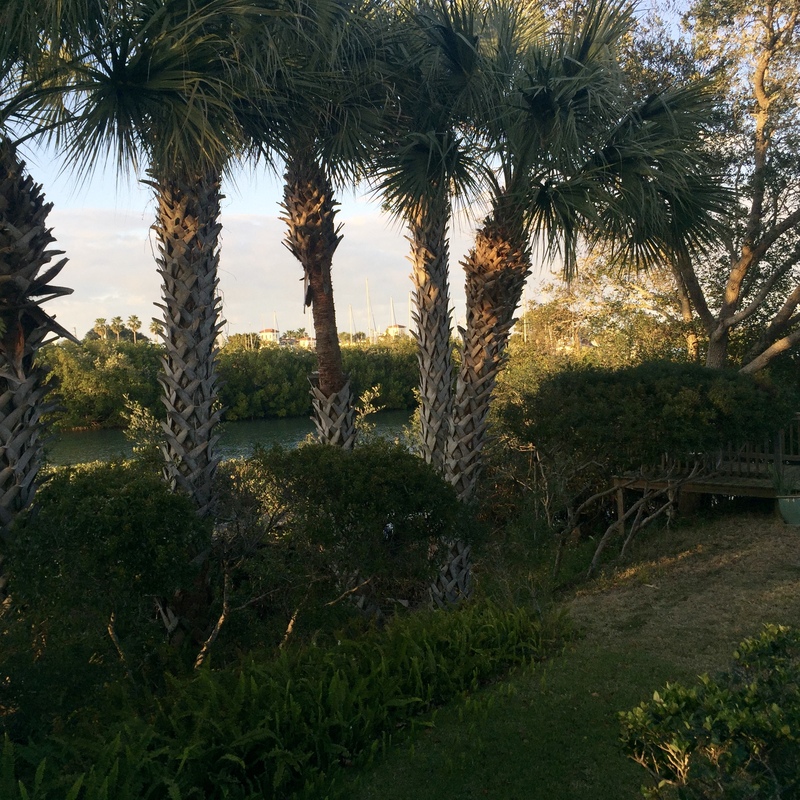 One view from Debbie and Harry's backyard.